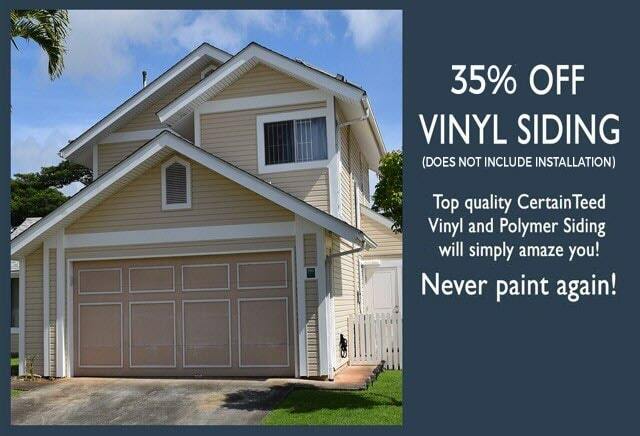 *All CertainTeed vinyl siding products guarantee PermaColor Lifetime Fade Protection Color and offer the widest array of modern colors in the industry. 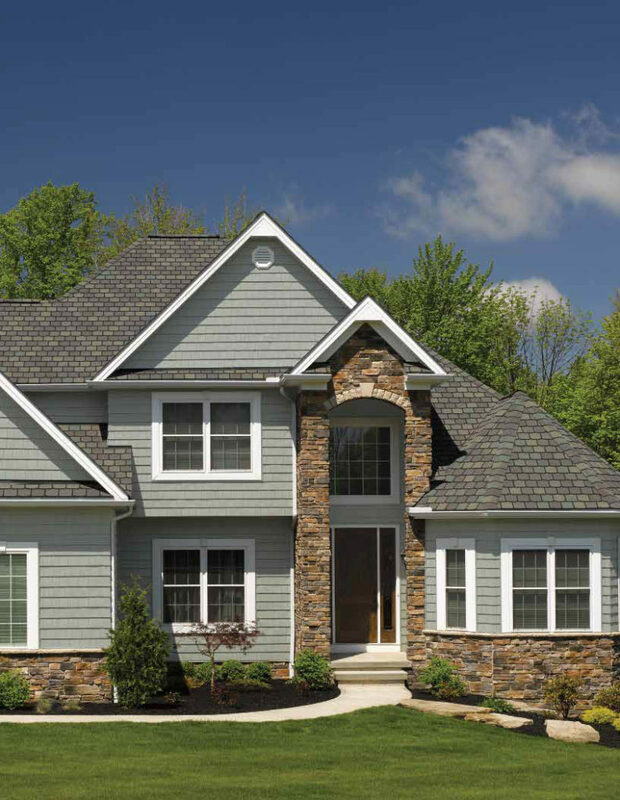 *Over 100 years of Experience and Leadership – CertainTeed Vinyl & Polymer Siding is manufactured by CertainTeed Corporation, one of the nation’s largest and most respected building products manufacturers. 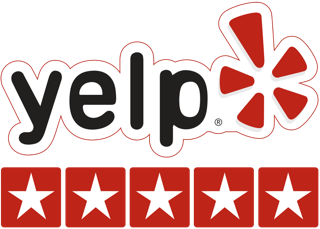 *Virtually eliminate drywood termites and wood boring beetles from burrowing into the walls of your home. 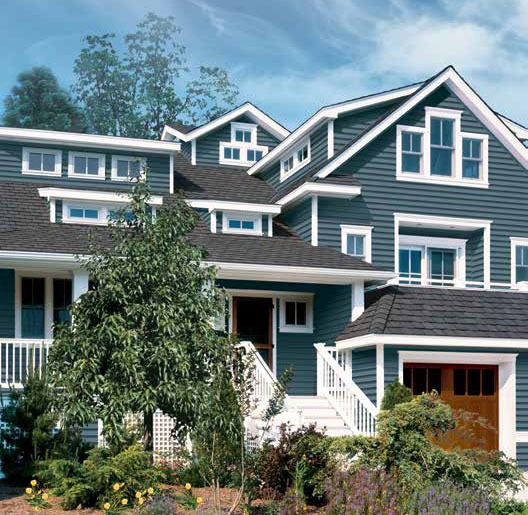 Accentuate your style and extend the life of your home with CertainTeed Siding. Be bold and creative with the widest selection of styles and colors! 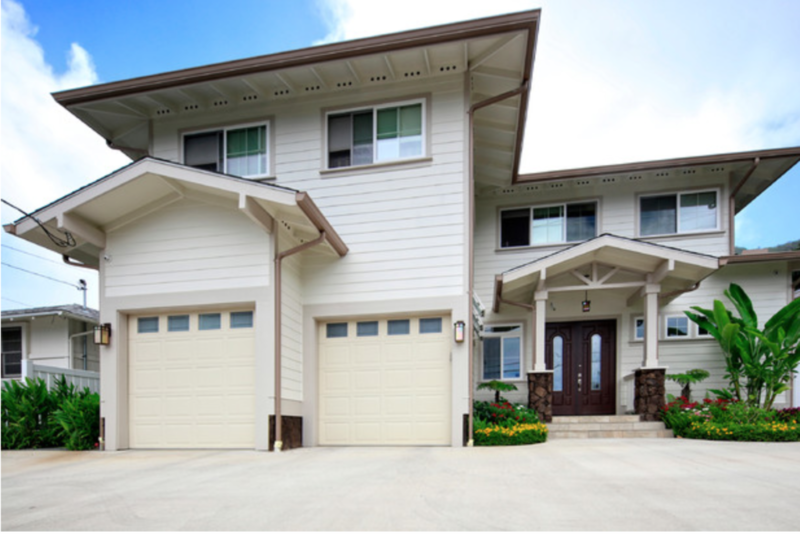 Discount Windows & Doors is proud to offer our Hawaii Ohana the number one choice in Vinyl and Polymer Siding from CertainTeed. 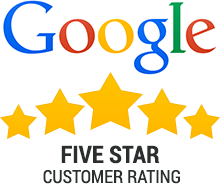 Certainteed is the number one choice of building professionals. 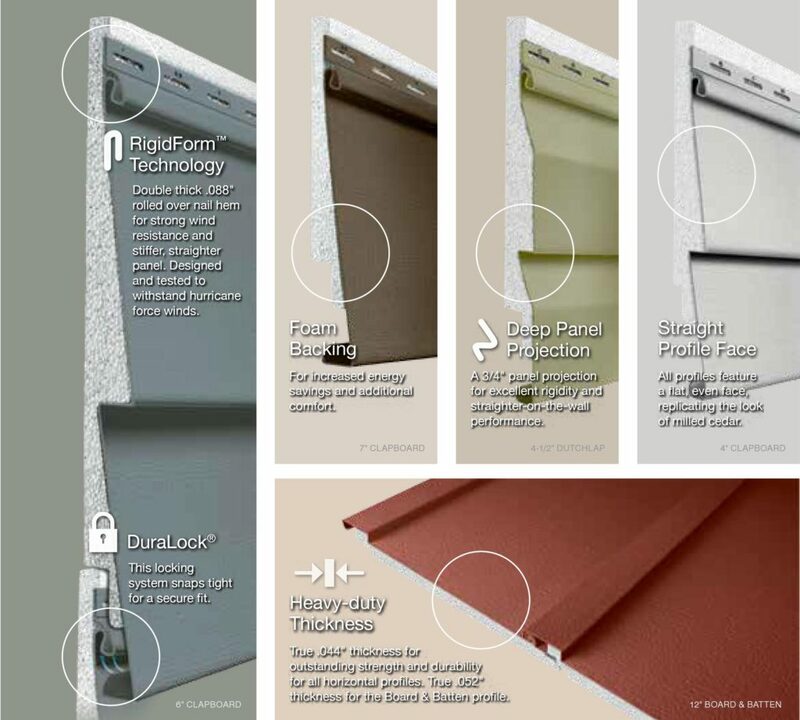 Discount Windows & Doors now STOCKS Certainteed Siding! That's good news for our customers because that means we can offer volume pricing without the long wait times! 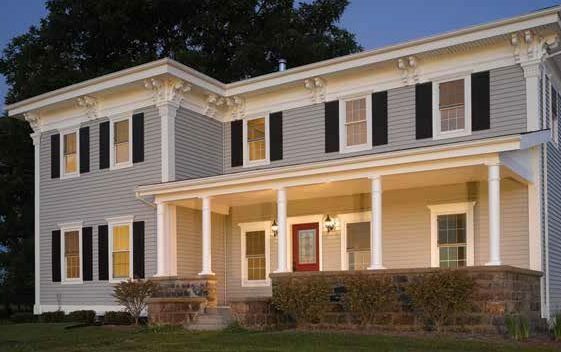 Over 100 years of Experience and Leadership - CertainTeed Vinyl & Polymer Siding is manufactured by CertainTeed Corporation, one of the nation’s largest and most respected building products manufacturers. 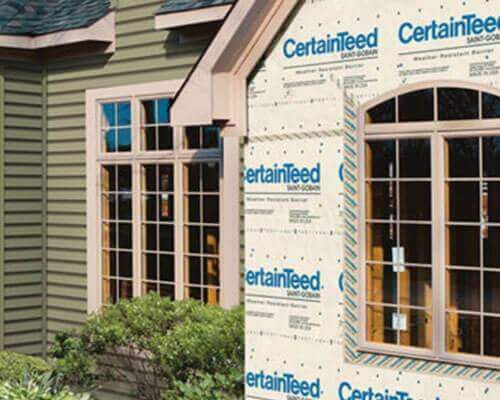 Founded in 1904 and headquartered in Malvern, Pennsylvania, CertainTeed is a subsidiary of Saint-Gobain, the world’s largest manufacturer of building materials. Rated #1 by building professionals. For 20 years in a row, independent surveys from every major trade publication have confirmed CertainTeed as the preferred brand of architects, designers, builders and remodelers. CertainTeed respects the environment through the responsible development of sustainable building products and systems. 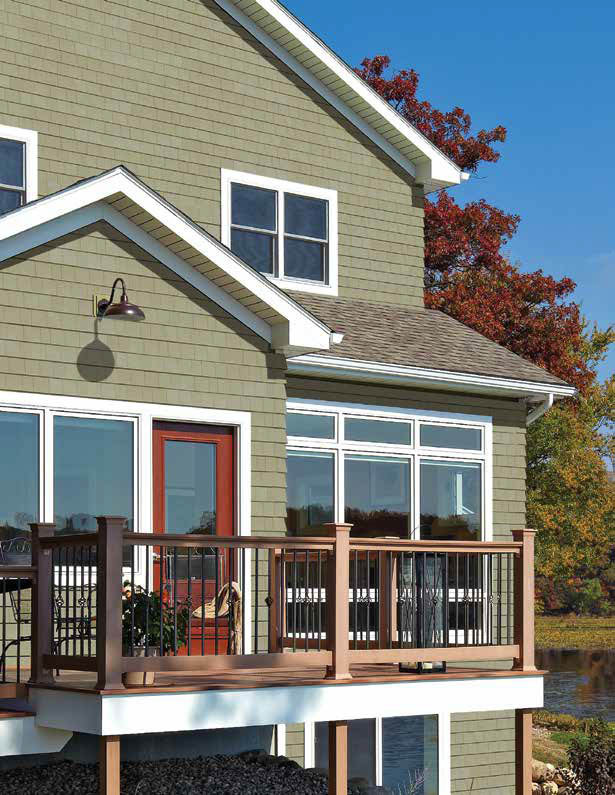 CertainTeed offers a wide variety of finishing touches for an authentic, real wood look. 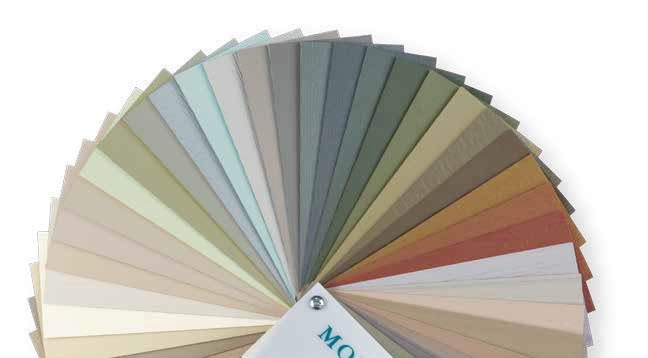 Restoration Millwork PVC trim is available in smooth and TrueTexture woodgrain finishes in a wide variety of traditional and specialty profiles that can be milled or painted. 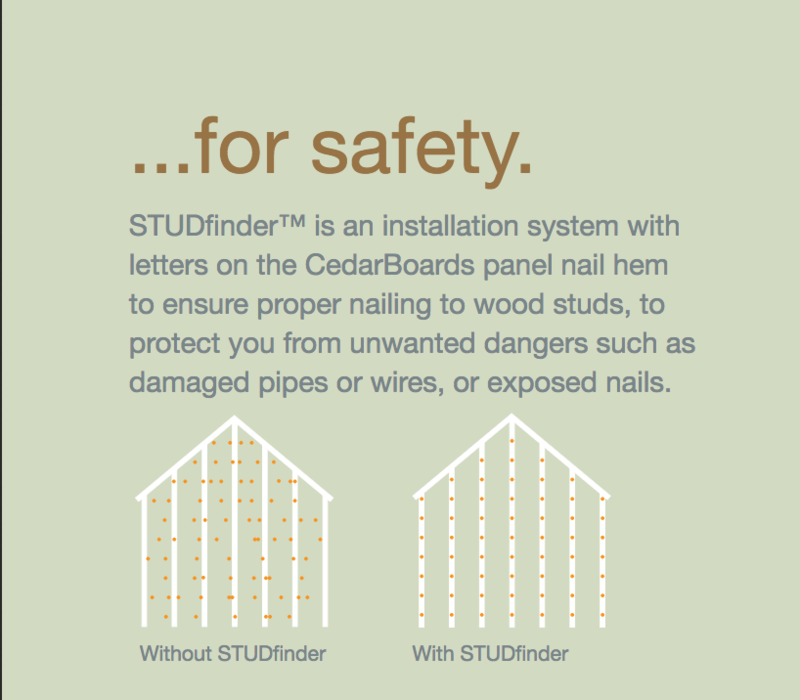 Patented STUDfinder installation system - the only system in the industry engineered with an integral installation guide on every panel, designed for fast, accurate and secure installation. Exclusive DuraLock - a substantially larger lock than is found on competing products, with a rigid teardrop shape and engineered angular locking leg for a positive, snap fit application and exceptional wind resistance. 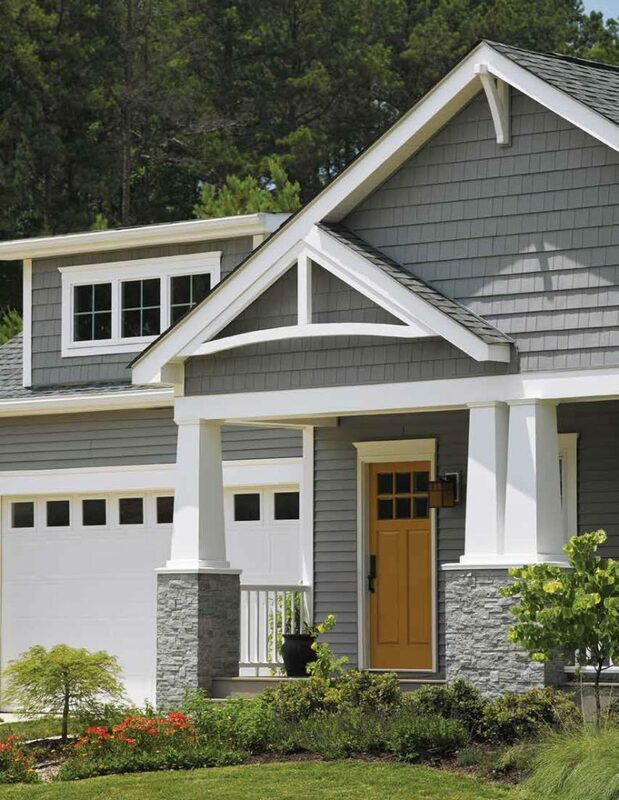 Why is vinyl and polymer siding a better choice? 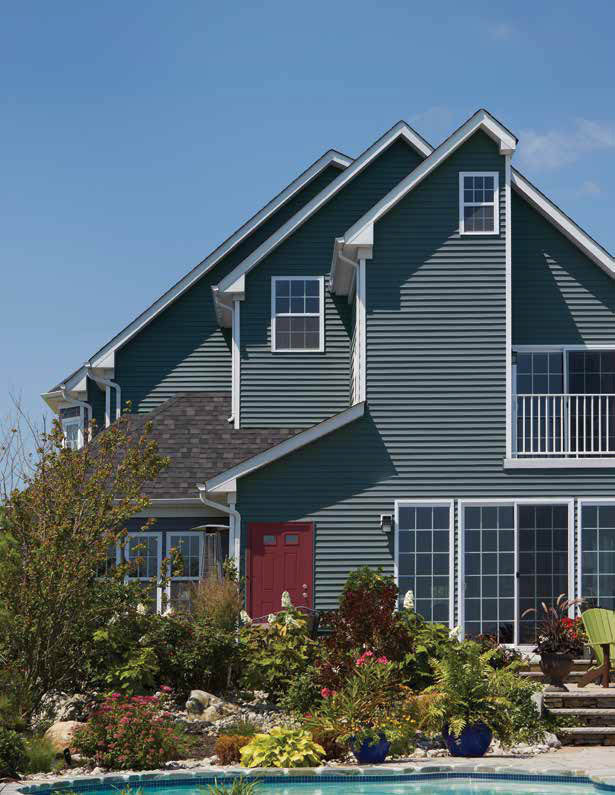 Today’s high-tech plastic and vinyl materials combined with modern manufacturing techniques have turned vinyl siding into an exceptionally versatile and high-performing choice for cladding. In fact, it’s now chosen for more than 32 percent of all new home construction, a trend that is only increasing over time. 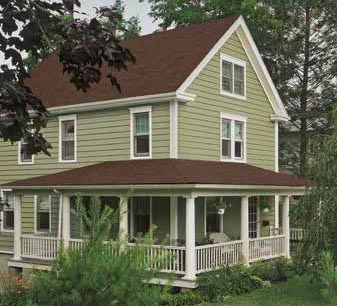 If you are considering Vinyl Siding for you home, here are some of the major advantages. 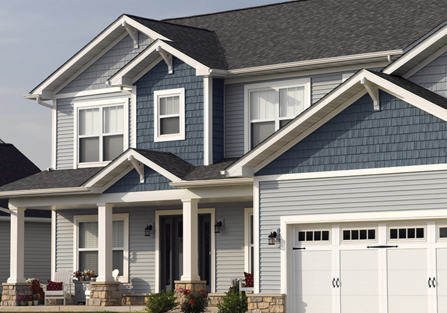 Cost - In general, vinyl siding is a popular choice for many homeowners because it’s very cost effective. 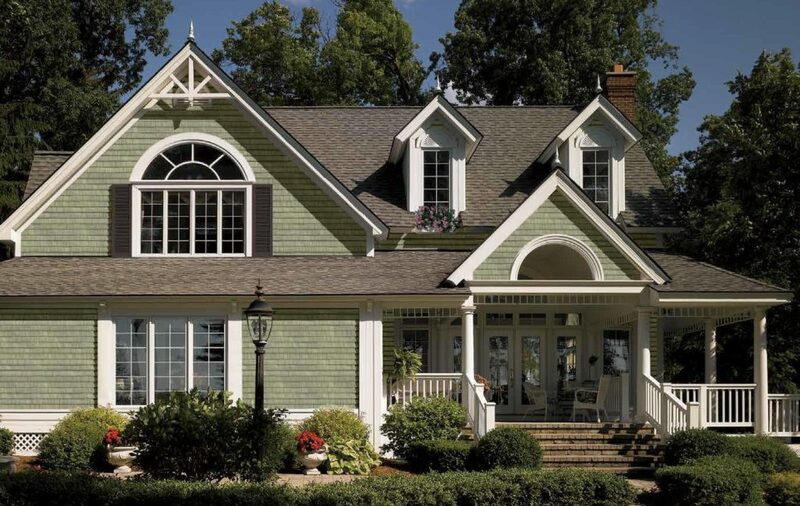 Once your vinyl siding is installed, you’ll never need to paint again or tax your budget by with unexpected costs to keep it looking great. 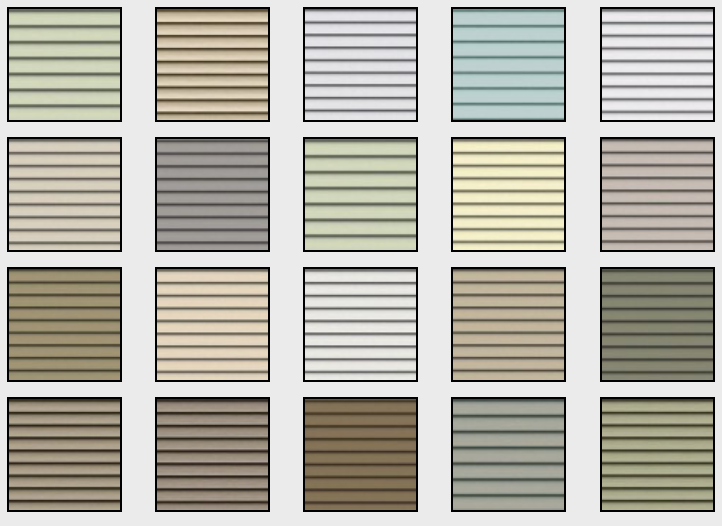 Versatility - Certainteed vinyl siding comes in hundreds of colors, textures, and profiles to give you complete versatility in designing your dream exterior. 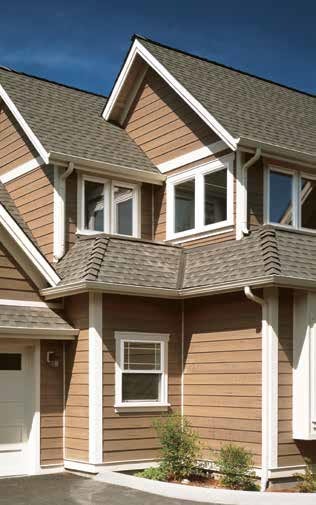 Like the look of cedar shakes but prefer the qualities of vinyl? You can find a vinyl replacement that looks so authentic, it fools even the most discriminating eyes. Love Victorian scallops? There are plenty of inexpensive vinyl options for that, too. 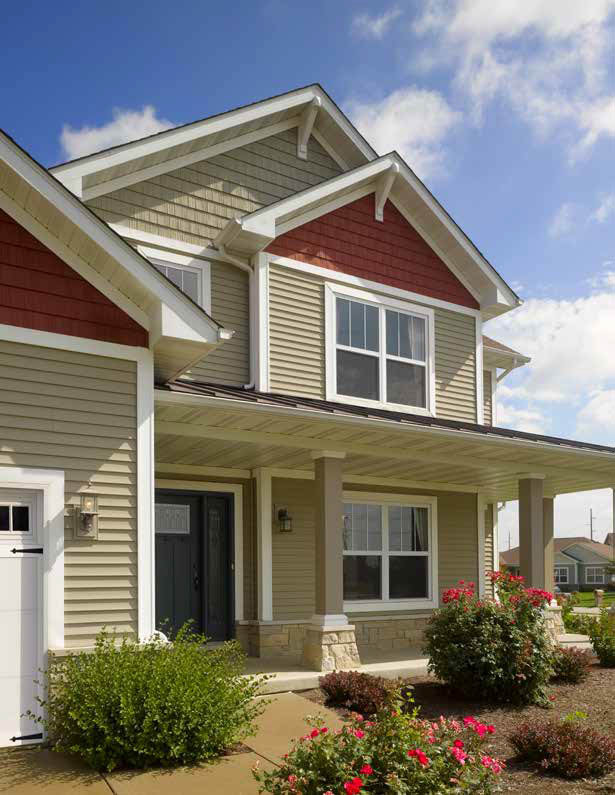 You can find a vinyl siding style that works with both horizontal and vertical applications for any home profile. 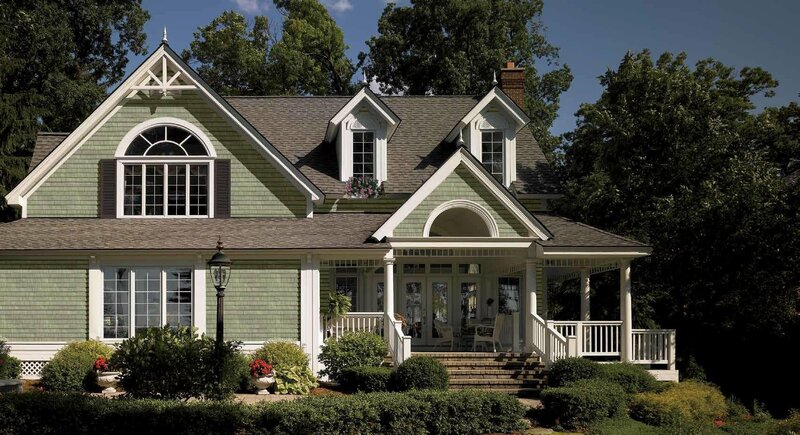 Durability - Vinyl siding is made to withstand the elements, including heavy wind. In addition, vinyl resists excessive moisture, meaning it won’t rot or corrode over time. 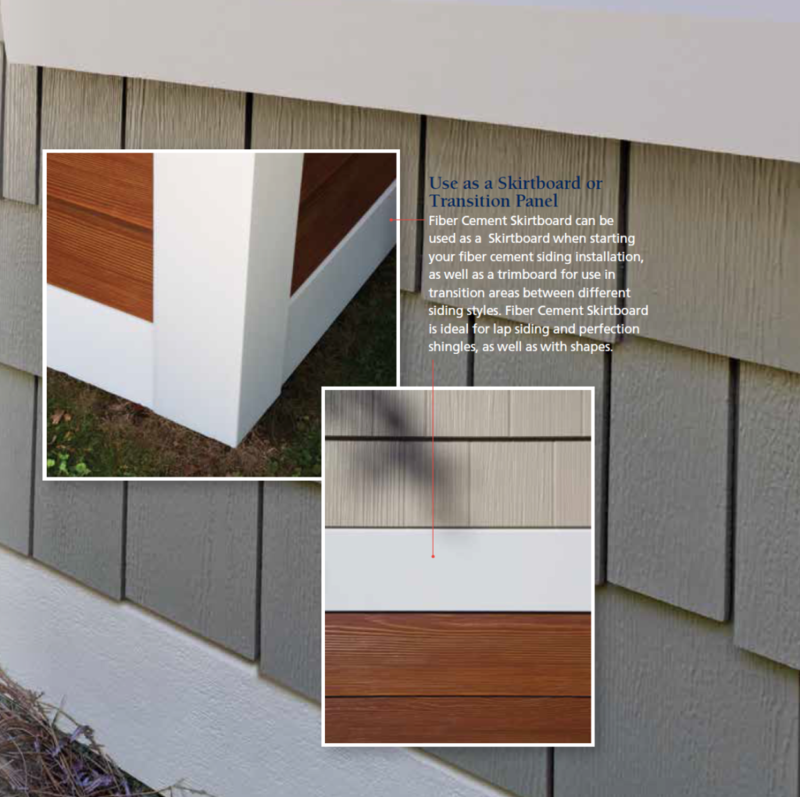 Ease of Maintenance - When it comes to siding, vinyl is about as low maintenance as it gets. Since it resists pests such as termites and blights such as rot, it will keep its original qualities for many years, giving you your money’s worth. Also, you’ll never need to paint your home — a simple cleaning once a year or so is more than adequate to maintain its original good looks. 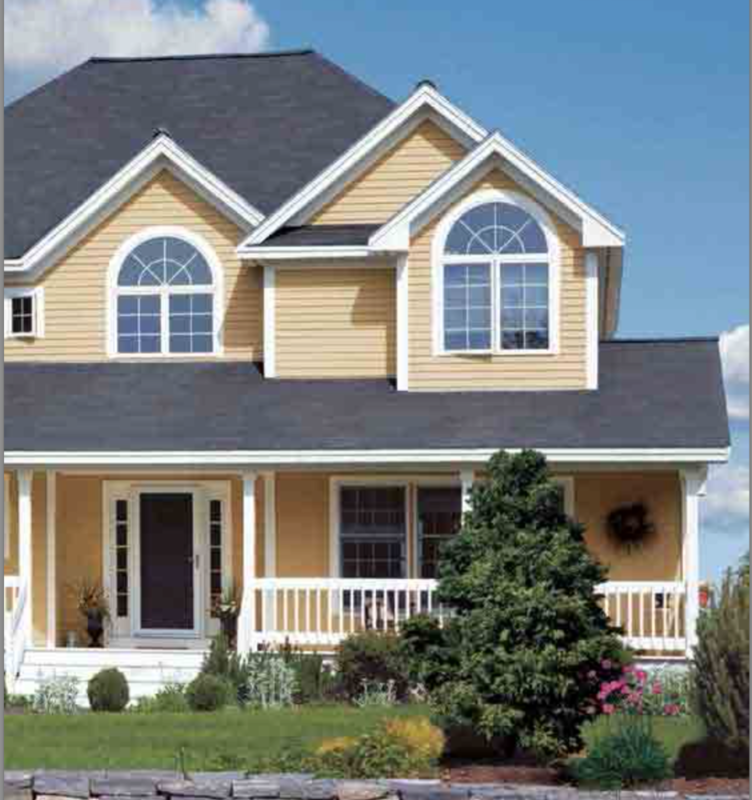 Cooler - Insulated vinyl siding places a blanket of protection around your home, keeping you cooler even in the summer. 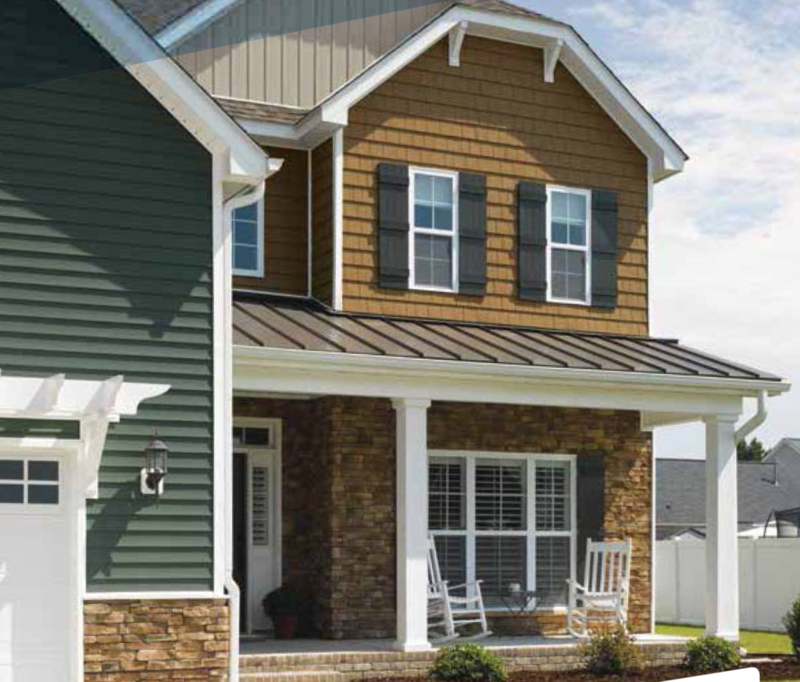 In addition, insulated vinyl siding may make you eligible for energy tax credits, making it even more economical to install. Discount Windows & Doors offers a dazzling selection of products, ensuring our customers can find just what they are looking for. 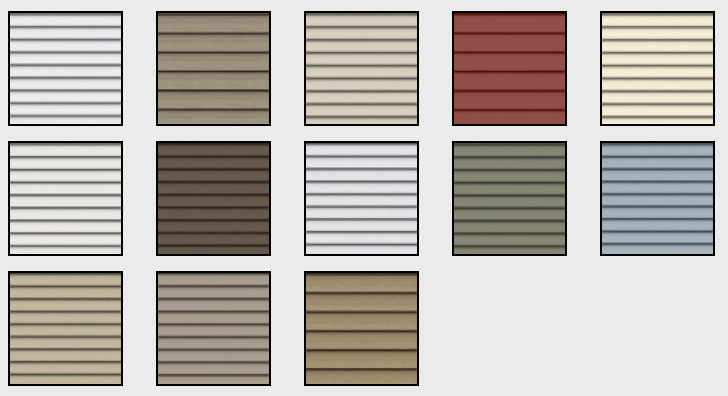 Browse through our website to learn more about the range of siding products that will compliment your taste and fit your budget. 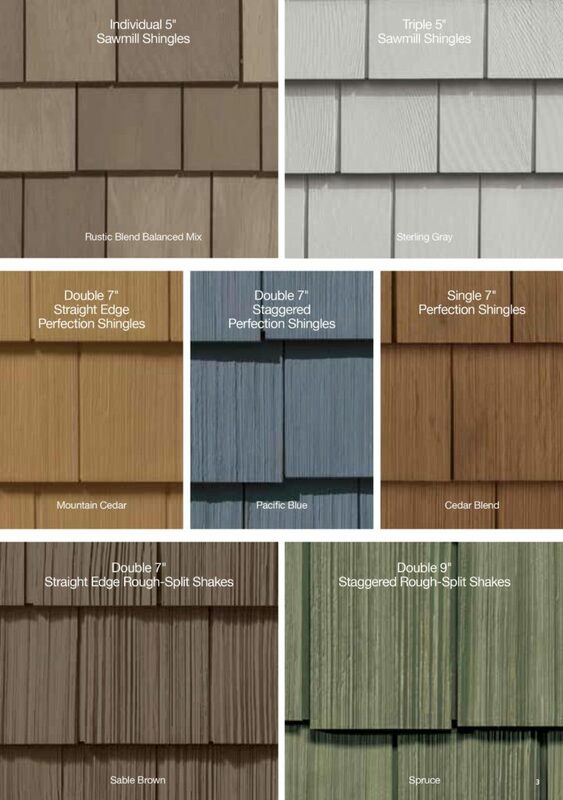 Cedar Impressions™ - Perfection, Half-Round & Sawmill Shingles & Rough-Split Shakes Polymer Siding for an accent or the whole house. Recreates the authentic natural wood textures and variable patterns of cedar shakes. 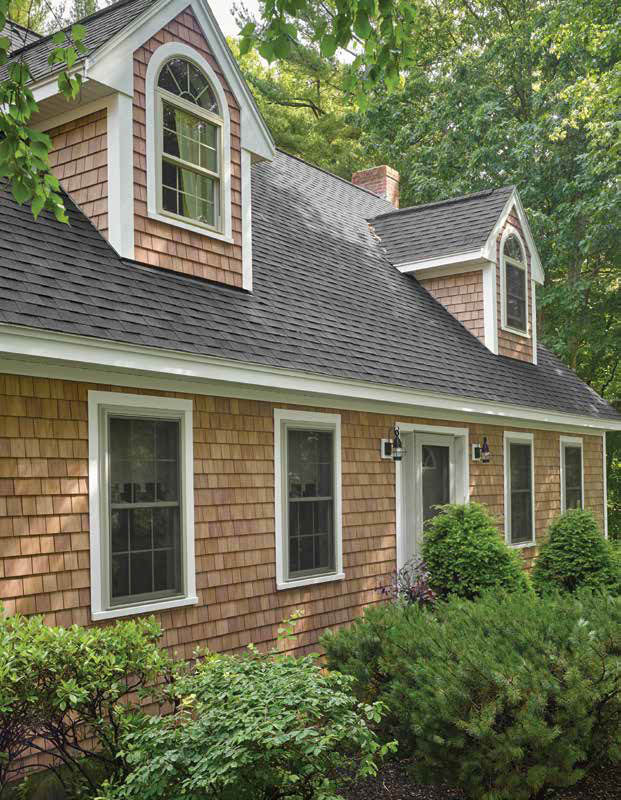 Horizontal and Vertical Siding - Traditional clapboard, dutchlap and beaded profiles are classic styles for whole house applications. 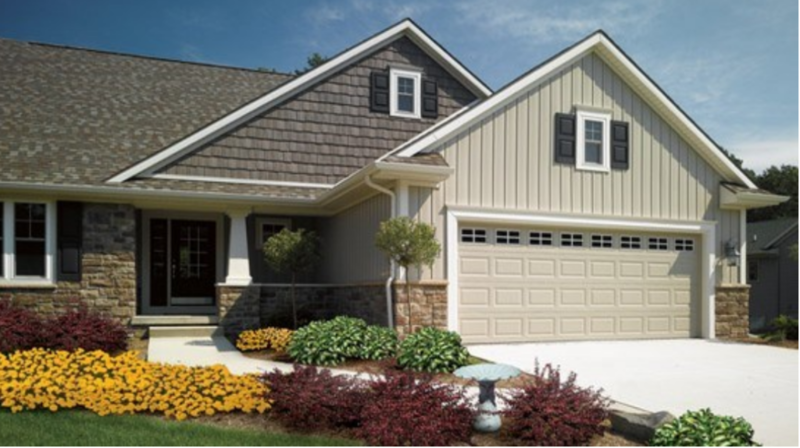 Board & Batten and Chamfer Board are excellent styles for adding historic, rustic charm to garages or beach homes. 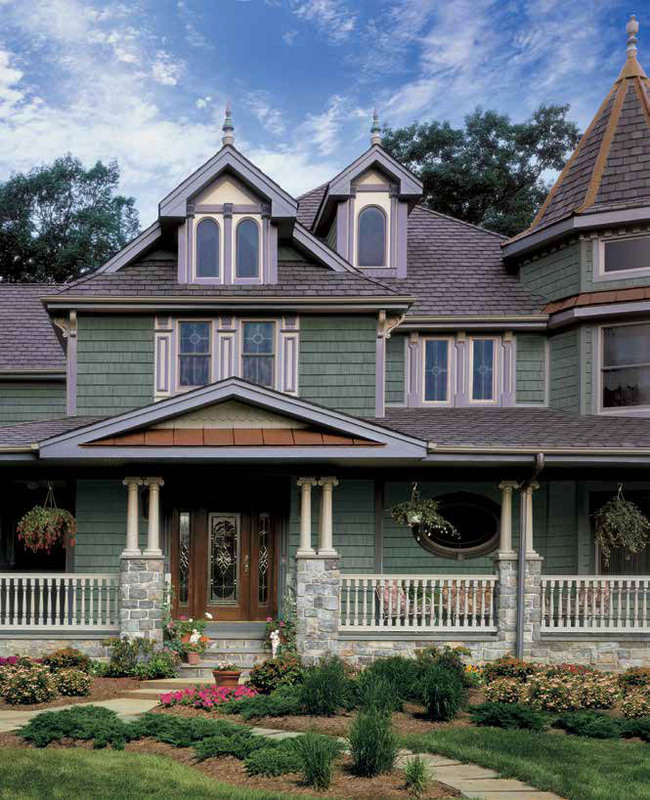 All styles provide beauty and superior performance to enhance any home. We offer these styles in a selection of quality products and materials. 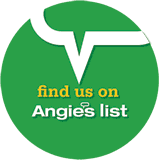 Our expert staff will help you choose the products ideally suited for your home, your needs, and your budget. 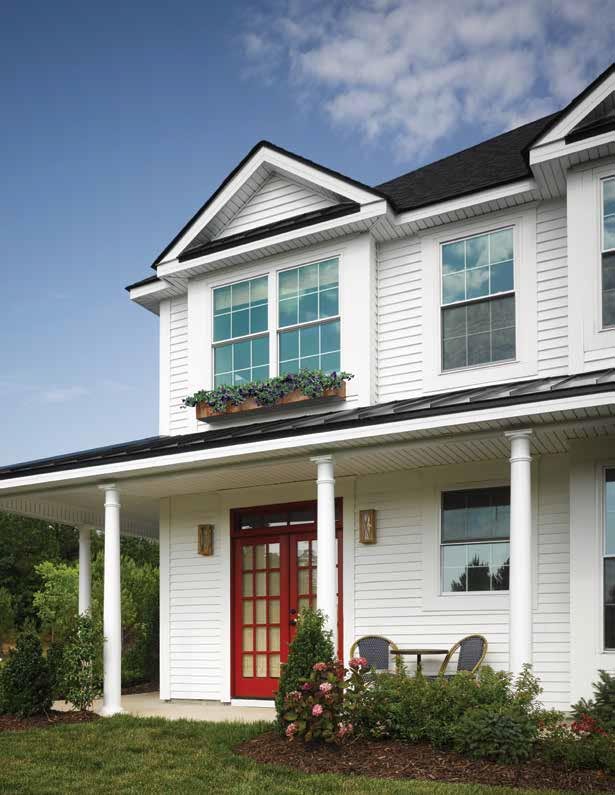 Restoration Millwork - High performance cellular PVC trim is a cost-effective, low maintenance alternative to exterior wood trim. which feels like top-grade lumber. It provides performance and aesthetic advantages that wood and other materials just can’t match. 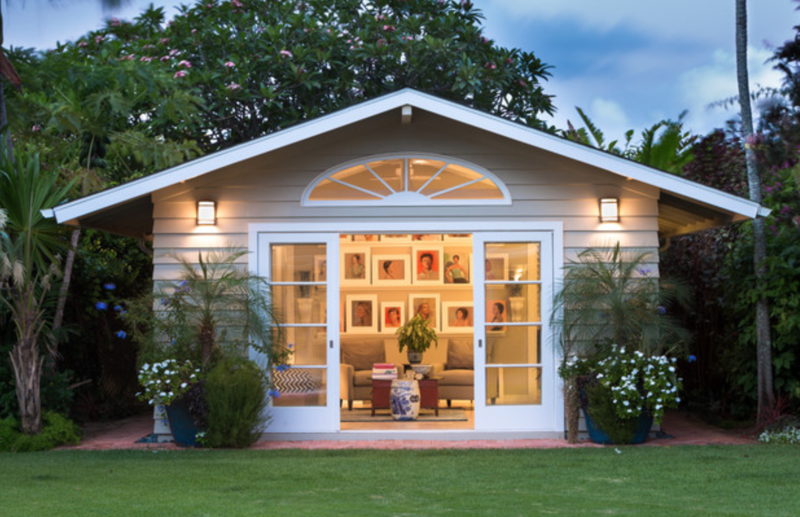 Comfort - Enjoy a quieter, cooler home. 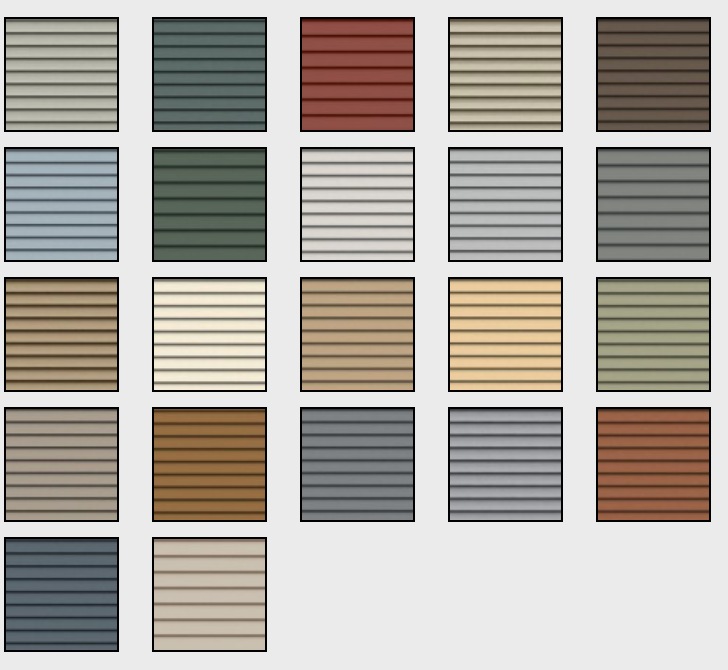 CedarBoards are available in an inspiring collection of color pallets. 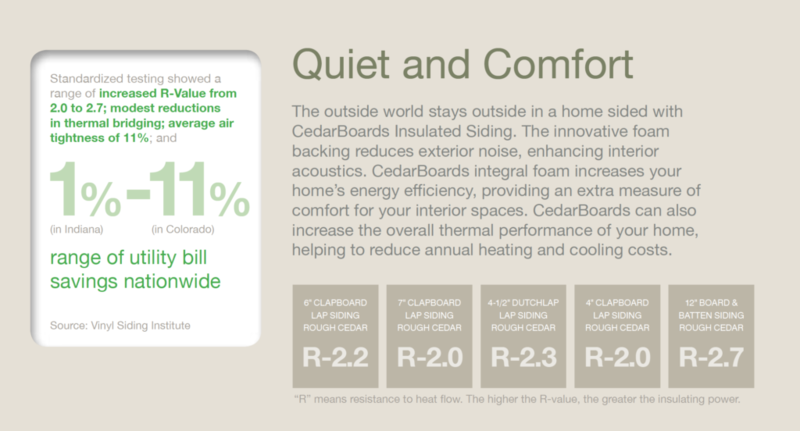 CedarBoards™ Insulated Siding provides the added strength and thermal benefit of rigid foam insulation with easy maintenance. Inside you will enjoy a quieter, more comfortable home. Outside you will appreciate the authentic look of natural wood, enhanced by distinctive colors and finishing touches. Single 12" Board & Batten. 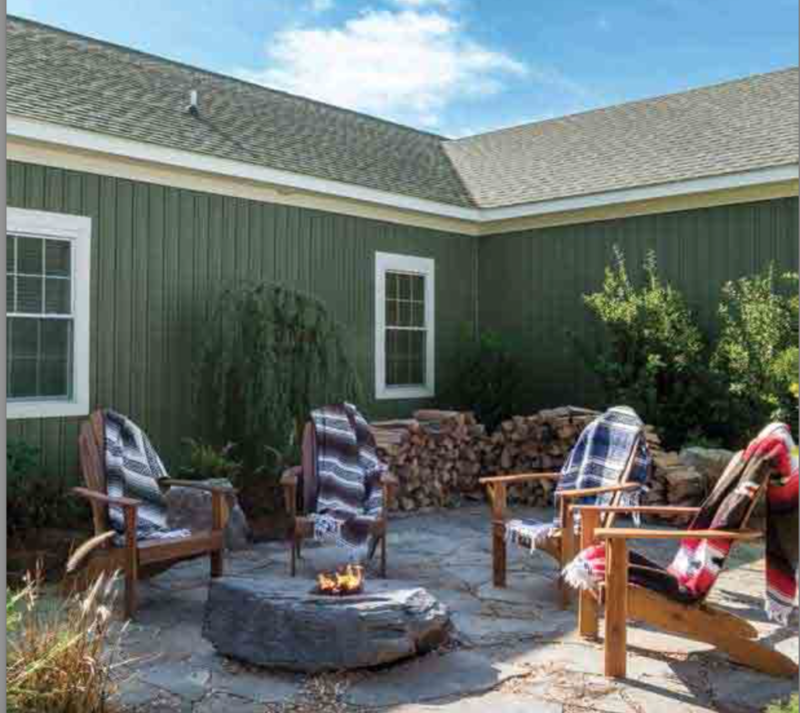 Cedar Impressions offers the widest color selection in the industry, ranging from deep rich hues to the always popular neutrals – providing unlimited design possibilities. 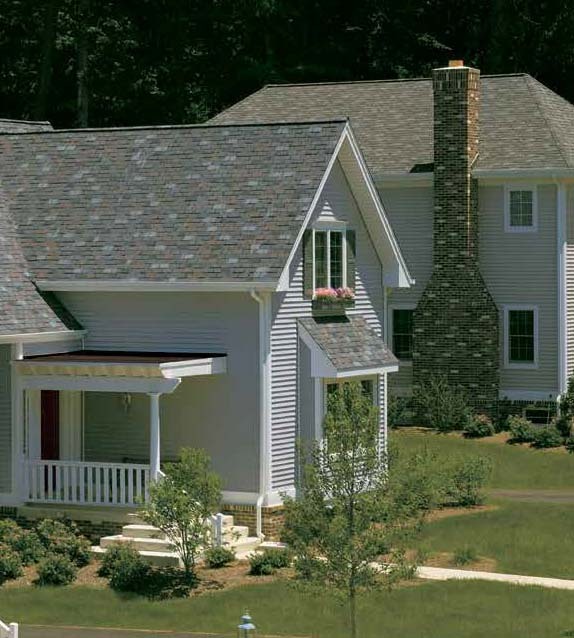 CertainTeed Sawmill Shingles have a texture and character all their own. CertainTeed's CedarLife Color Blends make time stand still, assuring that the shades and patterns chosen today will remain fresh and beautiful for a lifetime. 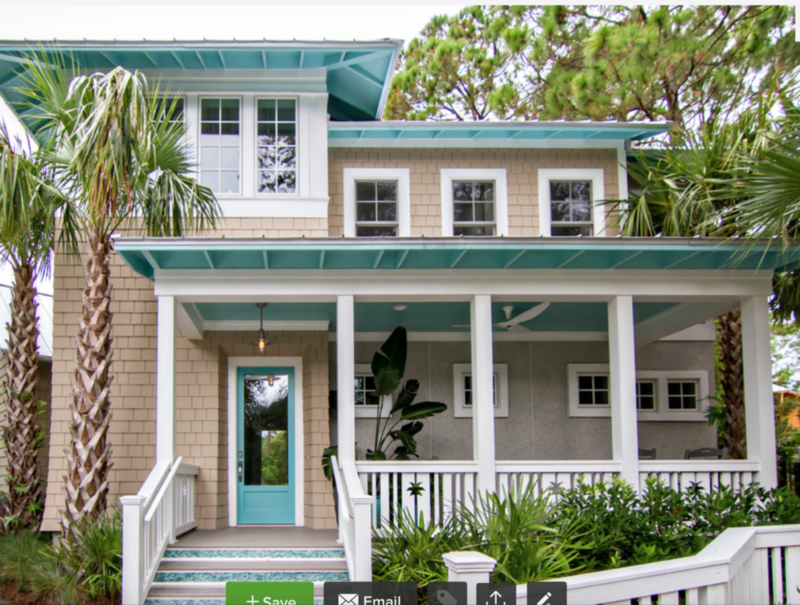 Whether it is a modern home, a historic plantation home, or a charming beach home, Monogram offers the rich look of natural cedar without the expense and heavy maintenance. 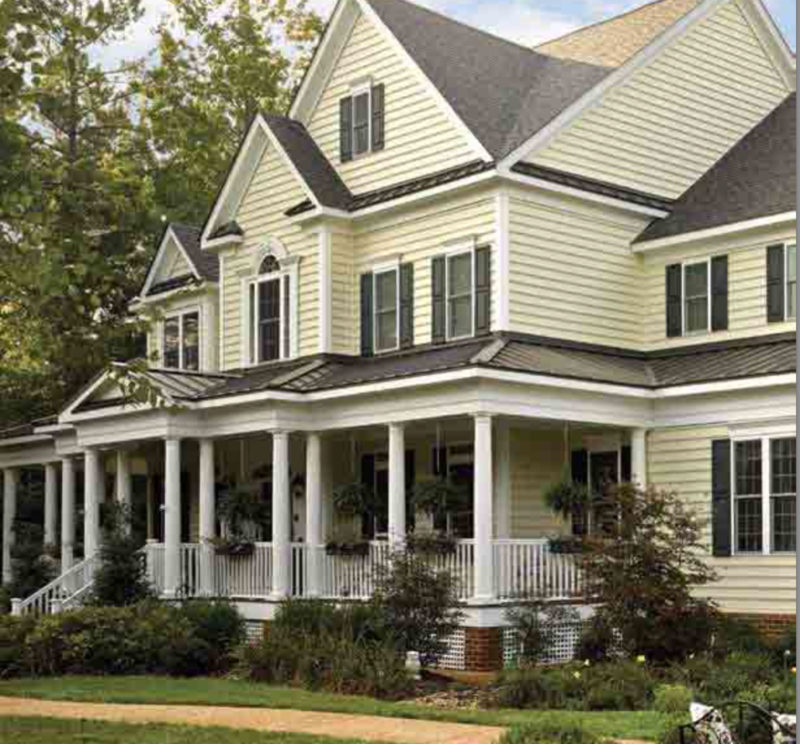 You can create a home to be proud of with Monogram's designer palette of over 40 siding and trim colors. Inspired by nature, these colors are designed to harmonize home and environment. 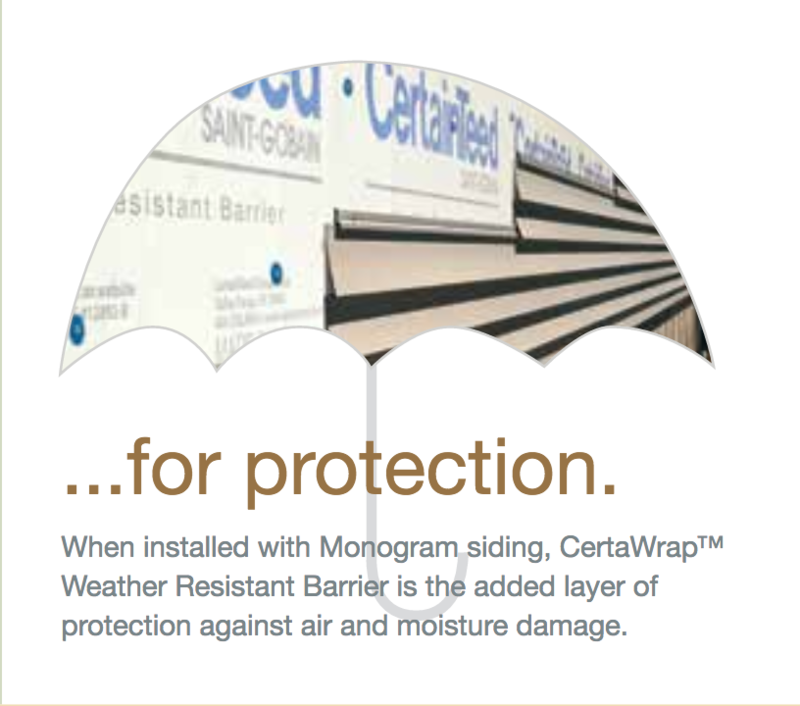 CertaWrap™ Weather Resistant Barrier provides an added layer of protection against moisture damage. Before the siding goes on, weather protection needs to be built in. CertaWrap™ Weather Resistant Barrier provides an added layer of protection against air and moisture damage. 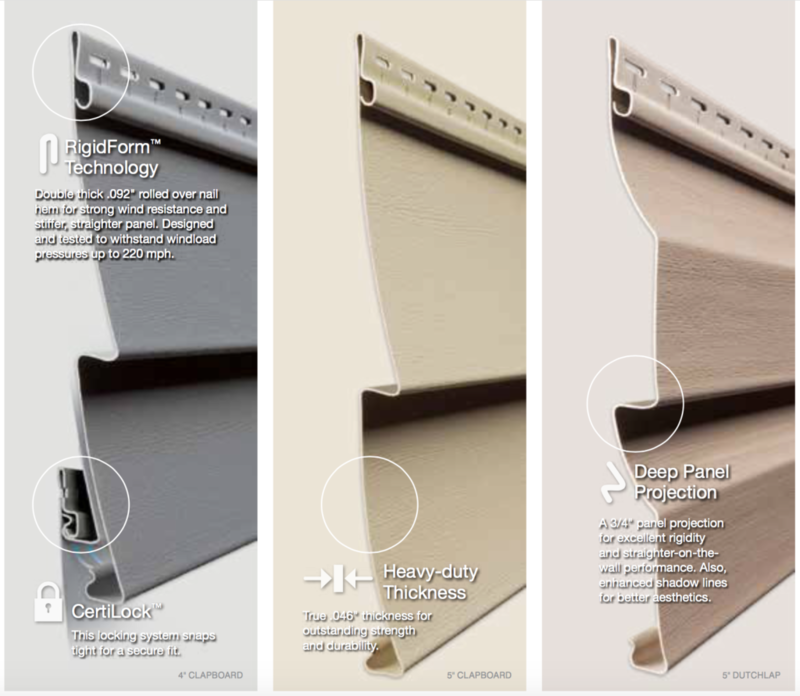 It's part of the complete CertaWall Weather Deterrence System™ - an advantage worth building into every home. Restoration Millwork CustomCraft™ boards and sheets make fabrication and custom combinations simple. These 1-1/2" trimboards (1 ¼” actual) reduce the amount of time and money required to produce custom installations. CustomCraft boards and sheets require less laminating, so they reduce time and labor costs. 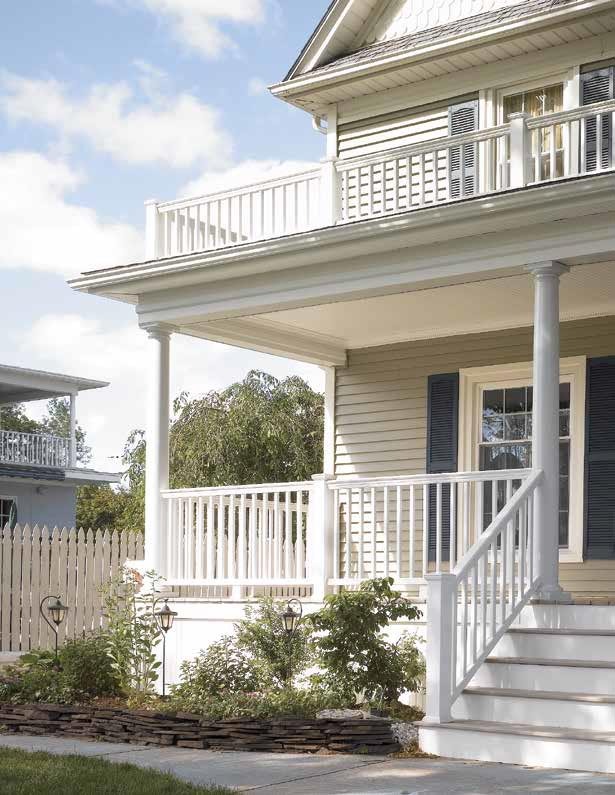 They are ideal for custom fabrications, including: window sills, mouldings and trim, eave and porch decorative brackets, pergola end designs, pediments and window headers, and raised and routed panels. CertainTeed's parent company, Saint-Gobain is one of the World’s 100 Leading Industrial Corporations. Founded 350 years ago in France, Saint-Gobain has operations in more than 66 companies with 170,000 employees. Saint-Gobain has been named as one of the 100 most innovative companies in the world, recieving 350 patents in 2015.